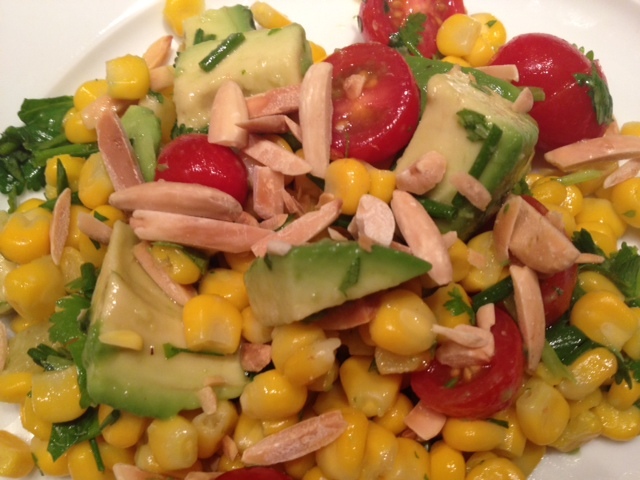 This delicious and flavorful salad is reminiscent of summertime but can be eaten year round. With almonds and avocado, it’s hearty enough to be eaten alone, but you could certainly serve it as a side dish as well. 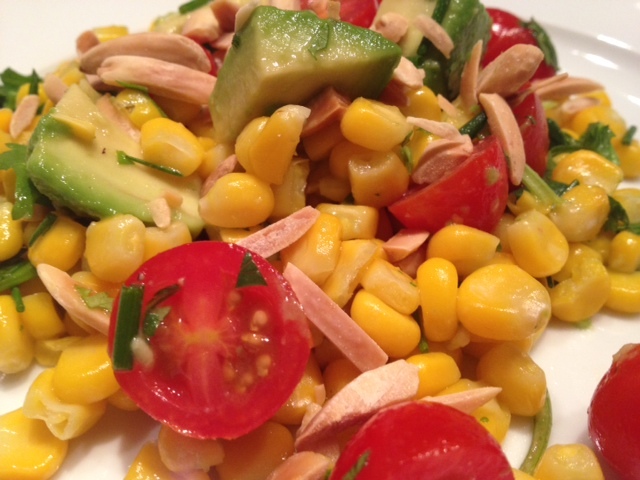 This salad will definitely spice up your usual lunch or dinner time routine! To toast the almonds: Spread the almonds out on a baking sheet and place in 350 degree oven for about 5 minutes or until lightly browned. Allow them to cool before adding to the salad. 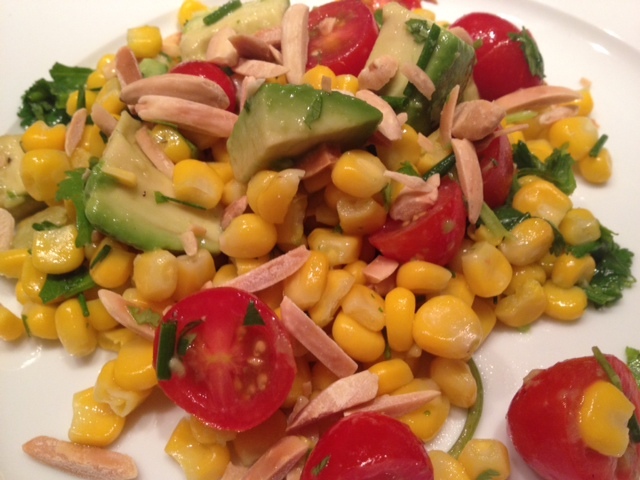 In a large mixing bowl, mix the corn, tomatoes, avocado and chives. In the food processor, add the cilantro, the juice from one lime and 1 tbsp of olive oil. Blend together until the cilantro leaves have been chopped into smaller pieces. Pour the dressing over the salad and mix together with a dash of salt and pepper. 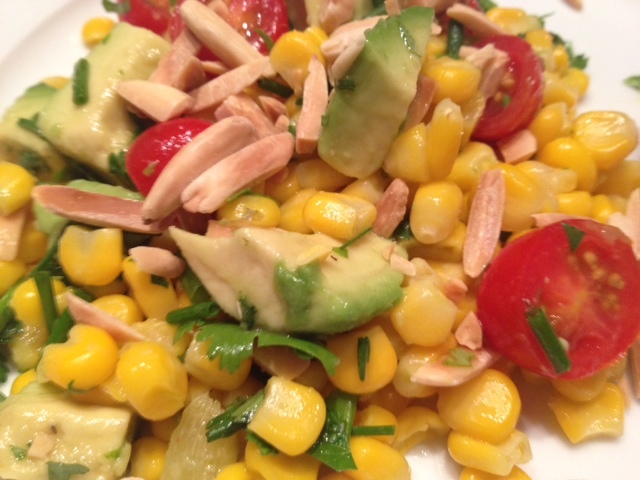 When serving, top the salad with a pinch of toasted almonds. That looks so delicious!! You take the best pics of food.